Track 2 consists of the last third of the entire second set. 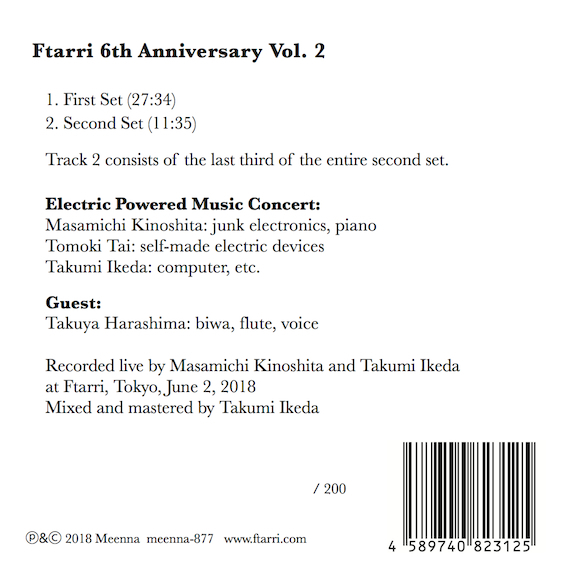 This is the 2nd CD release commemorating the 6th anniversary of Ftarri, the CD shop in Suidobashi, Tokyo. 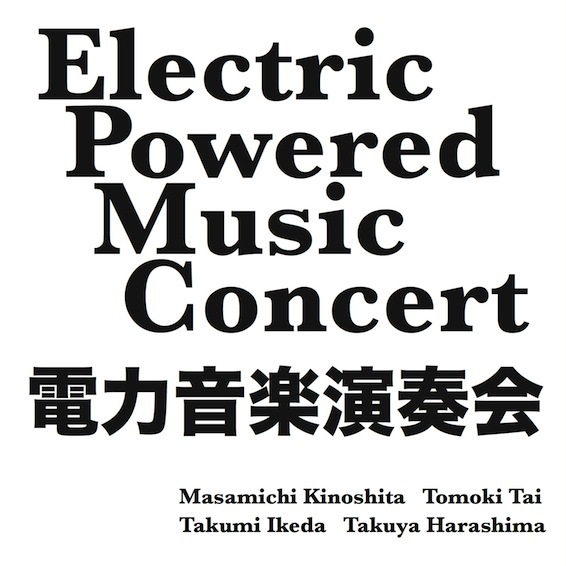 In recent years composer Masamichi Kinoshita, cello player Tomoki Tai, and composer/computer musician Takumi Ikeda have departed from their usual musical activities to hold "Electric Powered Music" concerts--periodic improvised music performances featuring electrical machinery and devices. These three plus guest Takuya Harashima (biwa, flute, voice) performed together in an Electric Powered Music Concert held at Ftarri on June 2, 2018. This CD documents that concert. As Ikeda (computer, etc. ), Kinoshita (junk electronics), and Tai (remodeled electrical devices) produce a variety of electric/electronic noise, guest Harashima plays biwa combined with Noh recitation (first set), and flute (second set). In the second set we also hear a bit of Kinoshita's free jazz-style piano playing. The emergence of the biwa, flute, and recitation from the intervals in the reverberation of electric/electronic noise results in mysteriously compelling music that won't fail to make a powerful impression on listeners.